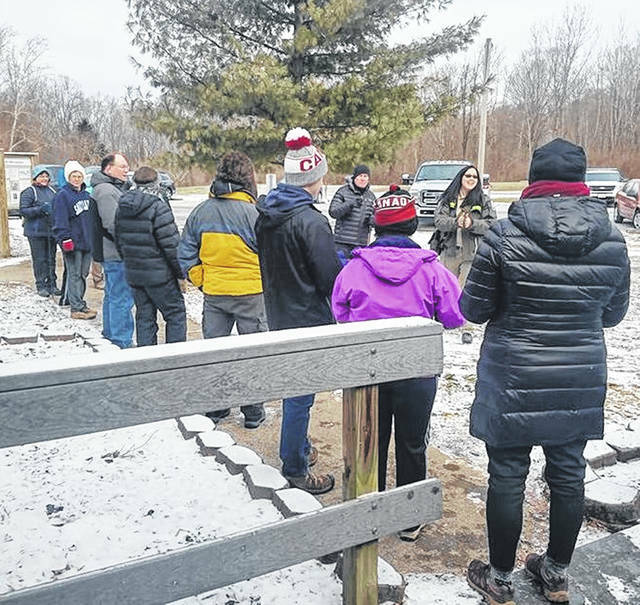 COWAN LAKE — The 1st Annual Cowan Lake Winter Hike had “a great turnout of 167 people” on Saturday, according to Friends Caring for Cowan Lake State Park President Wade Hall. 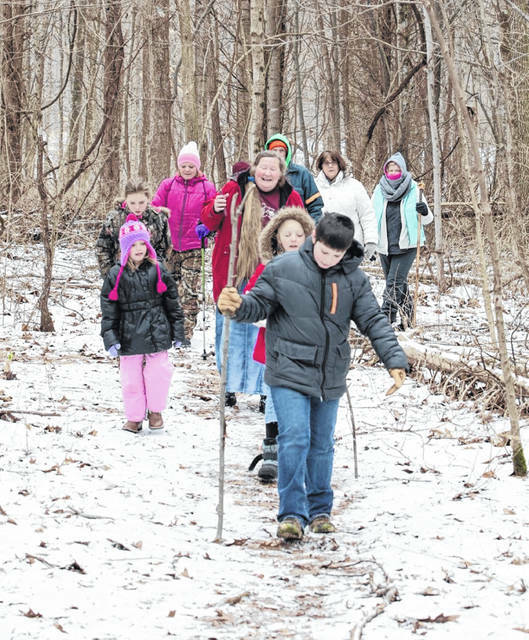 He said new Park Manager Melissa Clark had the idea to hold the winter hike event. 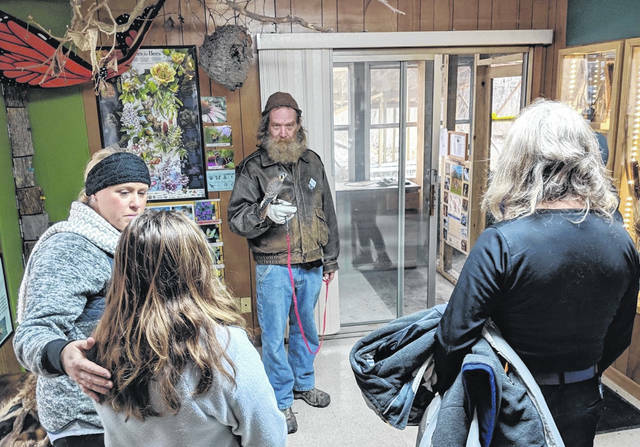 She was assisted by Park Naturalist Mandy Wolski, who had the park’s Naturalist Cabin open where people could visit with Cali, an American kestrel, and Bart, a barred owl. 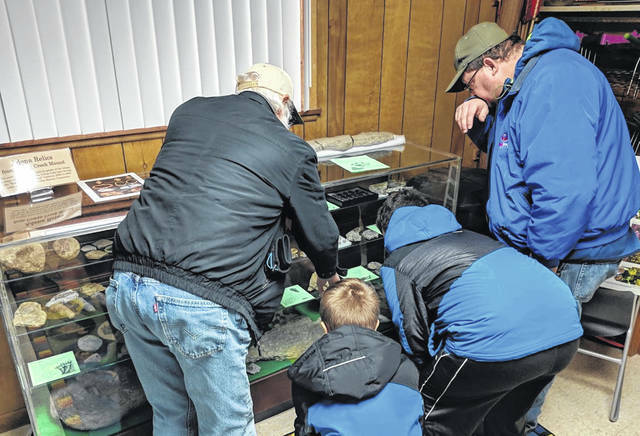 Steve Buchanan talked about his fossil display and Bob Rudy spoke to guests about the importance of raptors in nature. 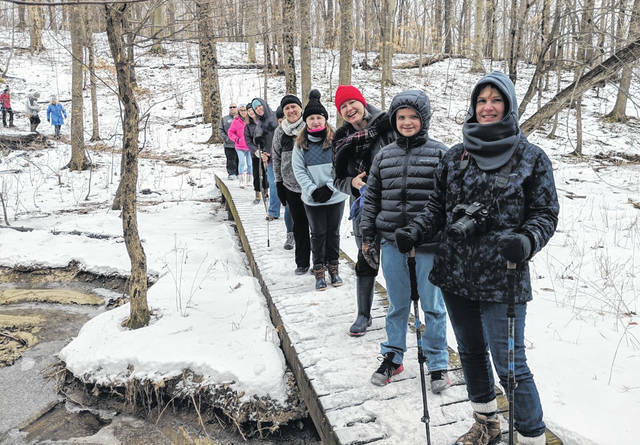 Both are Ohio Certified Volunteer Naturalists. The park’s campground commissary was open and participants could warm up with ham and bean soup and vegetable soup in large metal kettles and more. 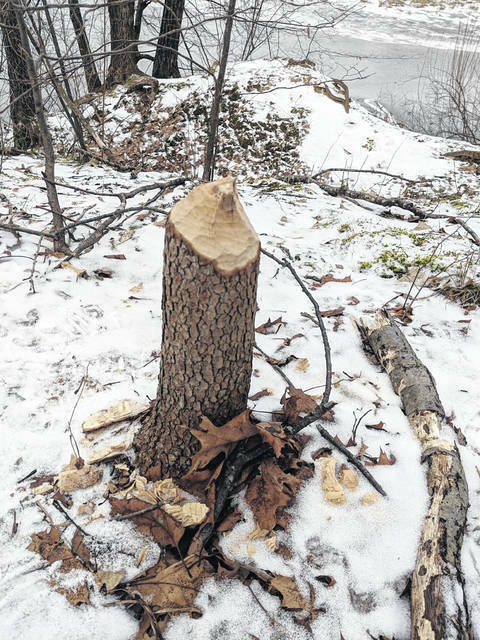 The event was co-sponsored by Friends Caring for Cowan Lake State Park. For more on Cowan Lake State Park, visit http://parks.ohiodnr.gov/cowanlake .